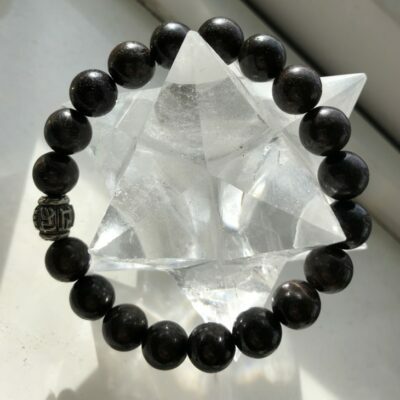 This bracelet is made from natural crystal stones with a Tibetan feature bead.. The bracelet is filled with healing energy from Abby. 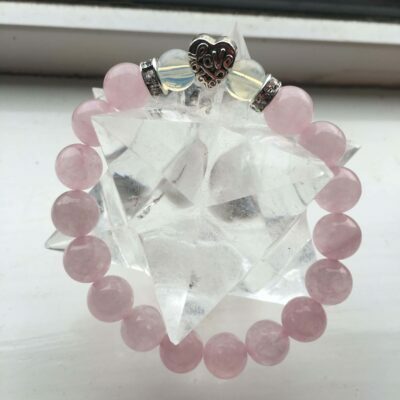 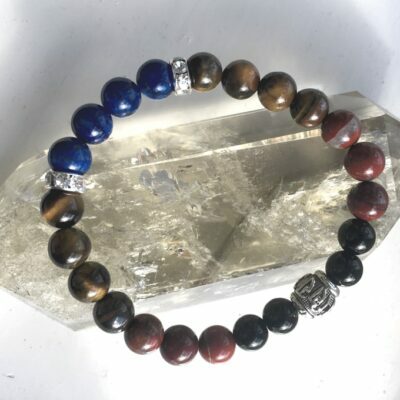 The intention behind this bracelet is to help you connect to your intuition, to open your Third Eye and to ease you into letting go the barriers to trusting your inner wisdom. 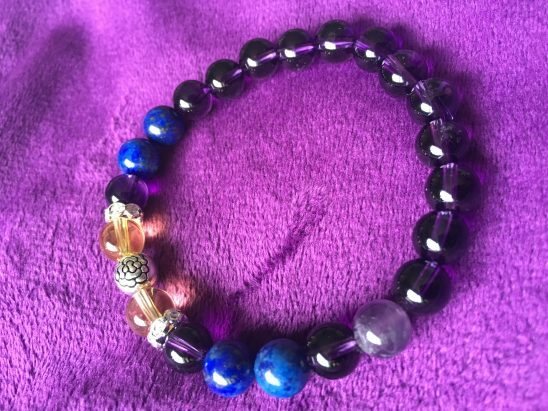 This bracelet is made to order so the one you get may look different to the ones in the photos here. 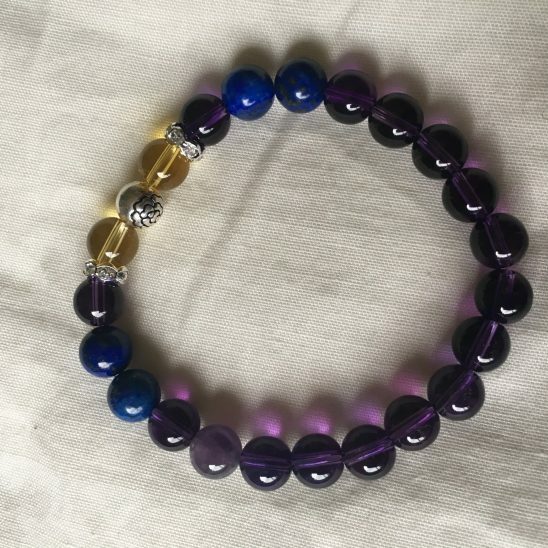 Amethyst is a meditative and calming stone which works in the emotional, spiritual, and physical planes to promote calm, balance, and peace. 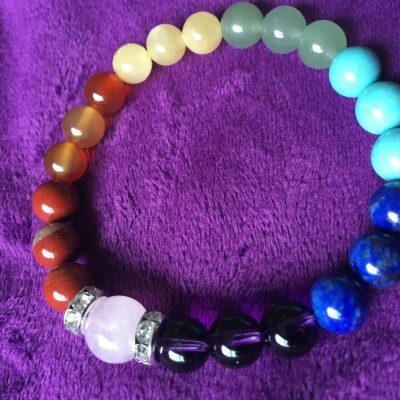 It is also used to release grief and embody trust. 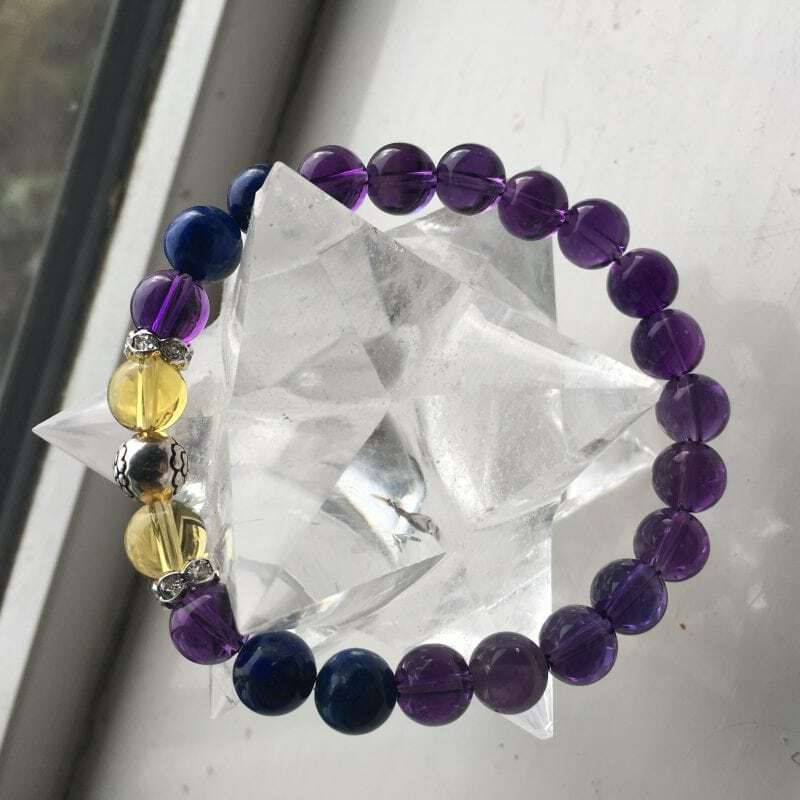 Blended with Citrine for manifestation, and Lapus Lazui for inner wisdom and connection to the sacred mystery, this bracelet is a beautiful introduction to connection to Spirit, or to enhance connection and release your doubts and fears.